“…Mrs. Ripp, should we bring this home?” A student is waving the status of the class form I just had them glue in their notebook during our first week of 7th grade English. “No, please don’t,” I answer, “This is not a reading log, just a tool for you to use here in class.” I can see the relief spread across the student. They thought it was a reading log. I am glad it isn’t. I have written about reading logs before; how I used to use them, how I had to use them, what to do instead. I know there is a possibility that Thea will have one at some point. And I worry about what that will do to her, how she will react not so much to the logging of reading, I do that myself through Goodreads, but the prize aspect, the reading to get something. You see, Thea reads for fun. Not because she naturally developed that, she would much rather read for prizes, which kid wouldn’t? But I have learned though her reactions to reading challenges to shield her from that, to build up that we read for the sheer enjoyment of reading. That we don’t get a reward when we finish a book other than the experience. That we talk about books and remember them that way, not to log them, not to see how many we can read so we can earn something. Yet, I get why reading logs are used. Not all kids read, not all parents push reading as a thing to do every day. Some kids need a prize to get them motivated or a log to see their habits so they can develop better ones. Some teachers have to use them because of a school or district initiative, even though they would rather not. But here’s the thing; not every kid needs one. Just like every kid doesn’t need an intervention. Just like every kid doesn’t need homework help, not every kid needs to create better reading habits. So instead of assigning a reading log to all if there has to be one, how about a tiered approach? How about a quick conversation with home or the student to discover reading habits? How about choice? I will gladly share with Thea’s teachers that we read for 30 minutes or more every night. That Thea pretends to read for another 30 after we tuck her in. That our house is filled with books. That going to the library or the book store is viewed as the biggest surprise. That getting a new book is something we celebrate. That we read the same books over and over because we love them so much. 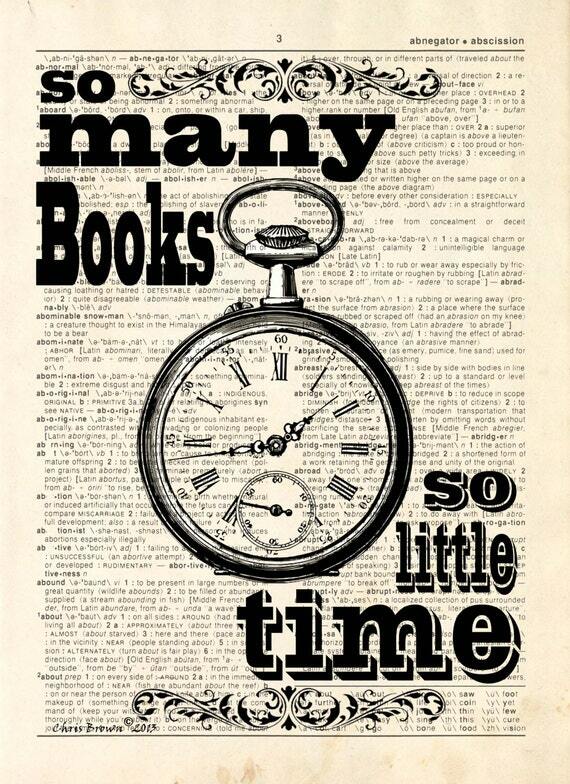 That we don’t need a reading log for that, we just need time. I don’t have to do a reading log anymore so instead I asked my 7th graders about their reading habits to see who needs help establishing better habits. It doesn’t take long, it is not hard work, but the information I gained will help us grow. They don’t need reading logs, they need a place to jot down how much they read in class and a place to record their ratings of books. Their parents don’t need to be involved. There will be no prizes. They are expected to read and I can tell if they don’t through conversation. That works for me, for the students right now, and hopefully it will in the future as well. I agree! I am a person who enjoys reading and HATES reading logs. When a teacher hands out a reading log, I know I will get a bad grade, not because I don’t read, but because I don’t log it!!! I always forget, only because I am enjoying the reading itself. I teach Kindergarten-I completely agree with you and abhor reading logs myself,for many reasons including what you posted. They are required by our admin and on a walk-through checklist. I have made the argument that I’ve never known anyone to read more simply because they have a reading log.That I hate watching kids counting pages as they read-that as their focus instead of getting into a good story. But to no avail. So, I am going to be one of those teachers, unfortunately. I love your blog. It’s one of the few that I actually read each time it comes out. Thank you for taking the time to do this. This is only the beginning and you’re the kind of teacher who will notice things like this that will eat at you. Though you found the perfect school for yourself, you may not have the perfect school for your daughter. We’ve had many conversations at my house about choice, love of learning, and how sometimes people are pressured to do things that don’t make sense. During. those times, we do what’s best for us and try not to let other people’s pressures be ours. I have been involved in a lot of varied discussions about extrinsic rewards for reading, and learning in general, this week with fellow teachers and with students. It never ceases to amaze me the damage that can be done when one teacher decides to “reward” students for learning. It not only erodes the child’s intrinsic motivation in that particular class, but in all other classes and areas of life. I just had a 10th grade student ask me this week, “Why don’t you give us a Tootsie Roll or something when we participate in class?” Sigh. My heart aches for you. I’ve been there over and over. My kids are now 19, 17, 14, and 12. Being a teacher and a parent is tricky business for everyone! I work so hard at not being ‘that parent’. I can only offer this advice when we’ve had the reading log issues: We continued reading in the evenings, just like usual. After the kids had gone to bed or when they were out of the room, I would fill in their log. Their teacher would be satisfied that it was being done, but it avoided the transition in our home to “Now it’s official reading time-Begin!” and “Stop!”, etc. We would do it, but wouldn’t really talk about it, if you know what I mean. As the kids got older I would frequently say “Every teacher has a different teaching philosophy. School sort of gets you prepared for adulthood. You may not agree with your boss’s methods or decisions, but you do it anyway.” I keep it very light-hearted and not like a lecture. I was “that parent” when my now-21-year-old son was in kindergarten. And I wasn’t even a teacher! But I was a passionate reader with a son who loved reading as well. He was my first, and I didn’t hesitate to fire off an anti-reading-for-pizza missive. Things didn’t change then, and they haven’t changed now. I ended up doing the log for him once a month, because I figured it eliminated the drudgery the log burdened the reading process with. I had to think long and hard about how to respond to your post – even though I agree with you, especially about having a reward system! However, I don’t want to set off a firestorm of protest for not shunning reading logs. If reading logs or any other tools give any of my students a sense of accomplishment, I’m all for them. As a principal, I ask my teachers – and ask myself – to be very careful not to judge our families and children by what we do or believe in our own homes. For instance, we might see limited value in homework worksheets or reading logs, these are very comforting to hard-working parents who see these tangible remnants of “school” as true signs that their children are on their way up and out. The students in my public middle school are inner-city children of generations of poverty who have no books at home, so they have never been able to develop the reading habits that come so naturally to you and your daughter (or me and my kids). They have no snuggly beds or quiet places at home to study. Their parents can’t shield them from anything. A simple trip to the library can get them shot if they happen to be wearing tennis shoes with the wrong color of laces. This said, though, I will continue to work with the teachers to make their classrooms places where we try our hardest to foster a love learning as well as being places where reading are pleasurable. But after looking into students’ “reading preferences,” I’m not going to judge them or their families harshly if they have never finished a book. Wonderful point here and I don’t think it is about judging reading habits, but instead asking questions. Yes, my daughter has access to many books, we are fortunate to live in a safe neighborhood, however, a reading log would only prove that. However, for a child that does not have the same life as my daughter a reading log may exasperate the fact that they may not have access to books outside of school. Then how is it used? I know some teachers who use reading logs successfully, that does not make them a bad teacher. I also know there are students that do respond positively to these logs, great! All I hope is that we at least can question the practice of handing them to all students to foster a love of reading when perhaps that love is already there. Or even to track their reading when such tracking is not necessary. As we aim to personalize our learning, this should be one more component of that. Reblogged this on Educational Leadership Her Way. Thanks for this post. Since my sons have entered the educational system I’ve worried and lamented over assignments and practices that chip away at their love of learning. I want my kids to love reading and school but many practices in education don’t foster that passion for learning and reading. Thanks again. You leave me stuck firmly on the fence with your blog. I see the points you make regarding a blanket 20 minutes doesn’t recognize the individual child. I just struggle with how to address this in school. There are so many examples! How about when our lunch menus are planned based on what the average child needs to eat. What about the kids who didn’t get breakfast or don’t eat a meal at dinner time? Our children are given blanket minutes of recess and/or PE daily even though some kids don’t need that because they spend time walking to school while other parents drive them the same distance that could be walked. Other kids are in gymnastics, dance, or football and put in many, many minutes of physical activity. How do you work within all of those variables? I have felt this as my children have moved through youth sports, too. If my kids loved basketball or loved soccer, they didn’t love it after they HAD to practice x times per week and do the same drills over and over even if they already were proficient at that skill. Is that the message we should send? Maybe it is if they are part of a team? Maybe we need to think of our child as having a classroom team or a school team and that logging minutes is their job as part of that team so the whole classroom improves from where ever it started? Then the whole school will improve? Systems thinking? Hattie’s research shows that one of the highest ways to affect achievement is to teach children about goal setting and the effect that making a goal has on a child. That’s how I have always viewed reading challenges that include minutes and pages. Maybe I am the minority principal on that view? Rasinki’s research also supported the work that whole school reading challenges and logs had on overall reading proficiency. I can attest it helped for us last year. I hope you are having a great school year. My parent hat says I agree and don’t like forcng my kids to read at night any more than I hate when I am forced to do something as an adult versus choosing when to do it. My kids are binge readers and read whole series at a time and then don’t read for a month (yep, I said that). They are doing great. My school principal hat doesn’t agree as I have seen the impact that incentivizing has on a percentage of our students and getting them hooked on reading that way is ok with me, too. I think you actually say it best yourself in your final part. “A percentage of our students..” That is my point, not everyone needs this tool just like someone who already is very good at soccer doesn’t need to practice the same skills as someone who isn’t. I don’t think this should be a systems thinking at all, we teach individual children, not a system, and each child has unique needs, even when it comes to reading. So where one child might need prizes to get hooked on reading, or even just positive praise, another may need just time to do it. Also, to go back to Hattie, setting a goal through a whole class reading log is not an individual goal, the child has not been asked and thus has no buy in. He is right that everyone should have goals, reading logs to me are not goals, but rather something a child is told to do, whether it fits their needs or situation or not. Three years ago, my K teaching partners and I were involved in an action resarch project with University partners. The project was called Singing for Literacy and we used song picture books as part of the project. The premise was involving parents as literacy partners, whereby the parents attended 4-5 session where they received two books to take home (And keep) to read with their child and journal about their experiences. During the parent sessions we focused on educating parents on early literacy development, including phonological awareness, choosing quality books, and singing with children. What we found, through the journalling, was that the children developed self0efficacy through their “pretend reading” of the songbooks and had tremendous ownership for the books. Another bonus was the family literacy that developed through the family singing together and even teenage siblings, as times, joined in on the fun. My aha moment was in beginning to look at a much broader view of literacy development and after the project was completed we adopted a “literacy log” where we encouraged parents to share their family literacy activites – rather than simply recording books that they read. In moving forward, with regard to Kindergarten, I wouldn’t have a log at all, but would encourage parents to share some of their successful activites during parent/teacher/child conferences and maybe share some of the successes, anonymously in class newsletters. I am a first grade teacher. At my old school we used to send home reading logs just like the one you pictured, but for the past two years I haven’t. It is homework for the parents, not the students! I want the kids’ reading to be authentic, not timed. Lastly I can tell who is reading at home based on whose reading is improving in school! I stopped making reading logs mandatory a few years ago. Instead, I made sure that my 4th grade students got their 30 minutes (or more) a day of reading in class. Some students would go home and ready more. Great! But, for the kids who didn’t; well, at least they had scheduled time in my class. At this same time, I no longer did paper logs, but transferred my log collecting to a Google Form! Parents and students loved it! But more importantly, my students were reading in class everyday, and that’s the change I really wanted to make for them. The students who needed support got the support from me, when they needed it. Sorry about the test comment, I wasn’t sure it was working. Hi my name is Macy. I am currently a student at the University of South Alabama. I am currently in Dr. Strange Micro Computing System class Edm310. I really enjoyed your blog, and a few of the other blogs I read. I remember having these fun reading logs in elementary school. Though I do not remember starting as early as kindergarten. Also, we were not rewarded with fun prizes. Our reading logs were graded and mandatory for everyone. Good luck and have fun with the logs! Here is a link to my personal blog,feel free to check them out! In my experience, kids who love reading aren’t discouraged by strangers giving them pizza. I was worried as well since we’ve had some bad experiences with reading logs (hint — if a second grader is sleep deprived because he snuck in hours of extra reading under his covers, keeping him in from recess and sunshine because he forgot to get his log signed does not make for better behavior in the afternoon. Although it would have been nice if they had let him nap during that time). But so far my kids managed to keep their love of reading despite the efforts of most of their language arts teachers (and with the aid of one or two, I should add). I’ve had good experiences with library reading programs with prizes — it’s fun to track your reading, and it’s fun to have a family pizza party at the end, but reading is fun and the years we forgot to hand in the reading forms were just as good as the years we got the Pizza Hut pizzas. Yes, prize giving is not supported by research as a reading incentive, but a strong family love of reading should mean it’s not actively bad for your daughter. I hope you are as lucky as we were with that. When I taught first grade I sent home a reading log. It was elaborate and time consuming for me and parents!! Later I only included a hundred chart. Each night they coloured in a square and when they reached one hundred I gave them a little Reading Award card with a sticker. I stopped fussing about who brought them and who didn’t. When I moved to Kindergarten I started Home Reading in January with a number chart. I found so few of my students brought them back everyday. My son started K that same year. He hated the reading book bag and it was a battle right through second grade. He loves books but is not a keen reader. It’s a struggle for me and I try rewards to get him going but that doesn’t work either. I keep reading to him (which he loves) and we practice a little and hopefully soon he will fall in love with reading! I no longer send any reading logs home in my K class. I send home emergent readers we have practiced in class and encourage parents to read to their children every day. Reading logs…I teach first grade and have always encouraged my students and parents to read for the joy of reading. I was just like you as a mother and read constantly to my children. We went to the library to get books, my house was filled with books, and presents for any occasion was probably a book. I don’t enjoy rewarding reading with awards…there weekly reading does not get a reward. I want them to just love reading for the love of it. You’ve given me a lot to think about. By the way, my children are voracious readers as young adults. I cannot believe you just publicly threw your daughter’s teacher under the bus, especially after the number of years you have spent in education. If every parent who disagreed with you wrote a critical, heavily followed blog rather than speak privately to you, your reputation would unfairly suffer. I feel for your daughter’s teacher, who is only doing what she feels is right and does not deserve public embarrassment. Was it really worth hurting your teacher-parent relationship? You bring up valid points, which is something I think about every time I post about my daughter, however, the way in which you did was unkind. I don’t think this harms the parent-teacher relationship but rather serves as a vehicle to start a discussion. Plus, I am not the only teacher-parent that goes through this. So according to you we should only discuss privately and not bring it up to others to discuss and work on change. These same exact things that I wrote about, were indeed brought up to her teacher and we are working through it.